Exploding Double Layer N 63A in the Large Magellanic Cloud. Credit: NASA, ESA, HEIC, and the Hubble Heritage Team STScI/AURA). Acknowledgment: Y. H. Chu and R. M. Williams (UIUC). Rather than thermonuclear explosions, supernovae are what Hannes Alfvén called them: exploding double layers. The Large Magellanic Cloud (LMC) is a relatively small, irregular galaxy approximately 168,000 light-years from Earth. The distance is approximate, because different parallax values are obtained when different measuring sticks are used. 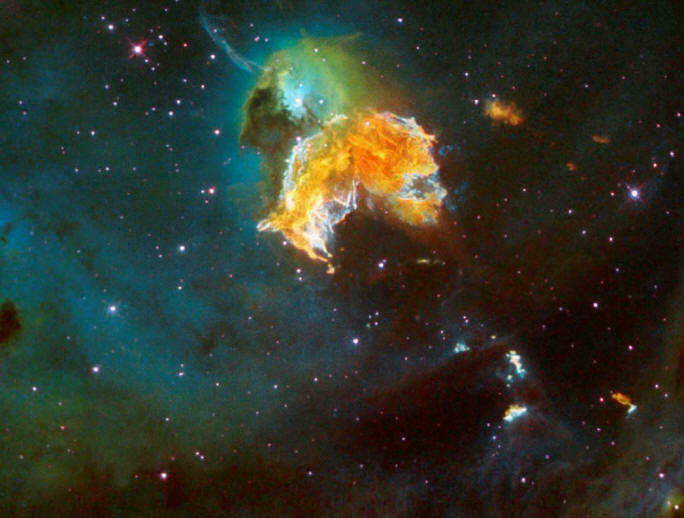 Within the LMC is an object commonly referred to as a "supernova remnant," since the prevailing theories of stellar evolution prescribe a particular kind of death when stars are extremely massive. 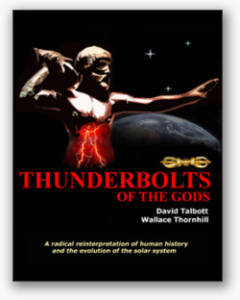 They are short-lived, as consensus opinions state, converting their mass into radiant energy at a furious rate, through a process of nuclear fusion. Once their nuclear fuel is exhausted, a process begins that ends with the star imploding and blowing off its outer shell of gas and dust. The exploding star that created the N 63A remnant is thought to have been 50 times more massive than the Sun. So-called stellar winds from the giant star generated a "wind-blown bubble," according to a report from the Hubble Space Telescope news release archive. The supernova is said to have exploded inside the bubble, leaving a clear region that contains small clouds of cast-off material that the winds could not blow away—similar to smokey swirls inside a soap bubble. It has been a long-standing tenet of astrophysical theories that supernova shock waves are responsible for the formation of other stars when they meet clouds of gas in nearby nebulae. The gases are compressed along the expanding wavefront, acquiring the angular momentum and gravitational boost needed to begin condensing. According to the Nebular Hypothesis, once that condensation reaches a critical point, stars are born. However, an analysis by the Hubble team concluded that the shock wave generated by N 63A is moving too rapidly through the expanding gas clouds, impacting the "cloudlets" and tearing them apart. They are not destined to last long. There is hope in the future, though. Star formation is supposed to be occurring in the LMC at 10-15 light-years from N 63A. NASA contends that, a few million years from now, the ejected stellar gases flowing with the shock wave will arrive at the star forming region with reduced energy, initiating areas of nebular collapse, and creating new stars and planets. Astronomers have no idea why stars eject clouds of gas and dust that eventually become other stars. The primary reason for the conundrum is that stars are made of plasma, not gas and dust. A star is the focal point for Birkeland currents that flow along circuits through the galaxy. An electromagnetic z-pinch can squeeze plasma with such force that it rapidly compresses into a star, forming a toroidal current around the equator. Current density flowing into the z-pinch causes the plasma in the new star to erupt in an arc-mode discharge. 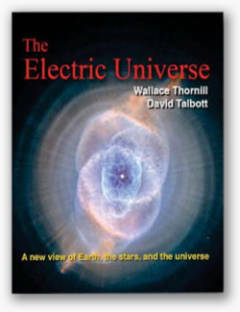 The Electric Universe explanation is that we are looking at plasma structures when we look at nebulae or supernovae, and they behave according to the laws of electric discharges and circuits. Instead of mechanical action and imploding gas, N 63A was created when an influx of electric current exceeded a critical value and was unable to maintain a stable connection with the galactic circuit. The break in the circuit caused the star to short-out and explode, just like an electric circuit here on Earth can suddenly explode when too much current flows through it. As we have written in many Picture of the Day articles, we do not live in a mechanistic universe where things happen only when there are explosions, shock waves, compressed gas, rebound, expansion or other kinetic and gravity-based forces. Rather, the universe is a seething cauldron of electrical energies that exceed the powers of gravity and inertia by several orders of magnitude. 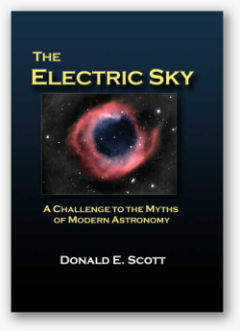 It is electric currents in plasma that makes up what we observe. Rather than an expanding shock-front, the features shown in the Hubble image are lit by electricity passing through dusty plasma. The x-ray radiation is typical of that given off by ions accelerated by an electric discharge.